Wiiboox Maker 3D Pen is a unique cool resin photosensitive 3d pen, which is very safe children. 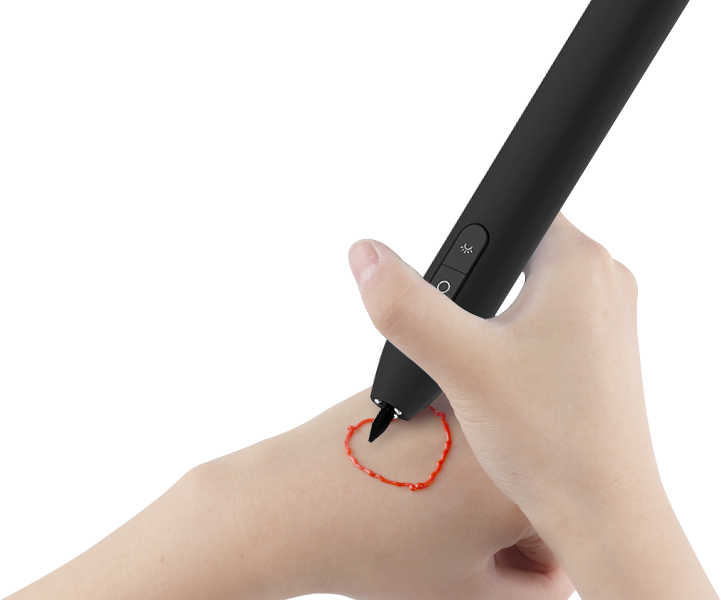 You can even draw 3d paintings on your hands! 11 different colors of environmental-friendly resin cartridges available for your colorful ideas. Only 80g, you can take Wiiboox Maker 3D Pen everywhere. Moreover, you can charge it with both lithium battery and USB cable. No charging cable, no limitation. Paint your ideas everywhere!